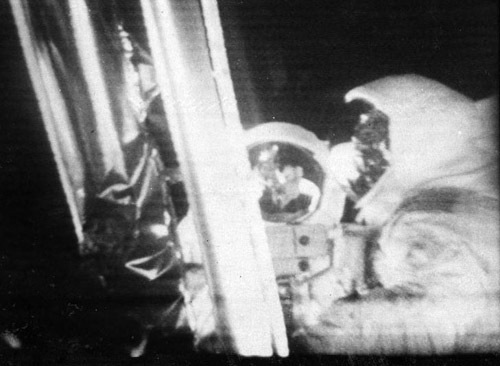 40 Years ago on July 20, 1969, Neil Armstrong & Buzz Aldrin stepped onto the face of the Moon. Being a little less than two years before I was born, I have had to re-live the excitement of the events vicariously through books, movies and the Internet and of course, by building and flying my own rockets. I may never have the opportunity to walk on the face of another world but that will never stop me dreaming. Well done guys. You really are heroes.